On this day 239 years ago, the Continental Marines were established, and we'd like to begin this issue by wishing all United States Marines a very happy birthday! Happy birthday Marines! Tomorrow is Veterans Day, so we'd also like to thank all service members, past and present, for their service and sacrifice on our behalf. 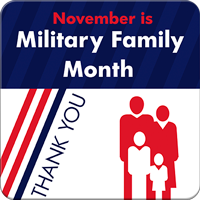 November is Warrior Care Month and Military Family Month. Learn more in this issue. To watch the Commandant's 2014 Birthday Message, please click on the image to the right or follow the link below. Click here to watch the Commandant's 2014 Birthday Message! Learn About Our Outreach in Action! November is Warrior Care Month, and here at the Warrior Support Team, we would like to take this opportunity to highlight some of the care and assistance we've provided and are able to provide for wounded, ill, and injured service members, as well as their family members and caretakers. While the sacrifices made and hardships endured by our service members are well-documented, a related aspect that many people may not think about as often are the sacrifices made and hardships endured by military families as well. 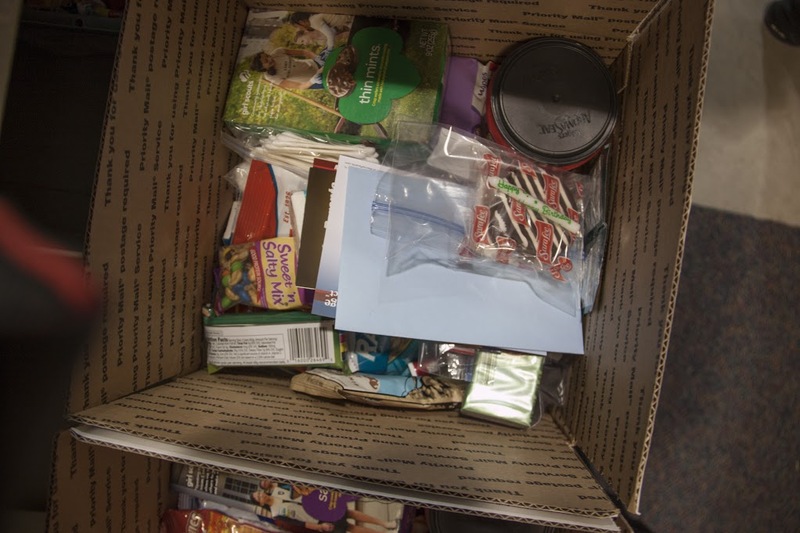 Maintaining a family in the civilian world is challenging enough, and military families may also face additional, unique challenges, such as frequent moves from base to base, having a loved one deployed for months on end, or dealing with long-term physical and/or emotional wounds, that can make the task of maintaining a family seem almost overwhelming. 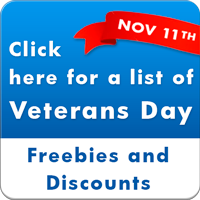 Each year, in honor of Veterans Day, a number of restaurants and businesses around the country offer free or discounted goods, services, and meals to both veterans and active-duty service members. 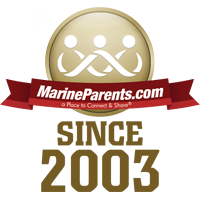 We would like to thank all of our Team Marine Parents and TMP supporters for helping make the 2014 racing season a success! 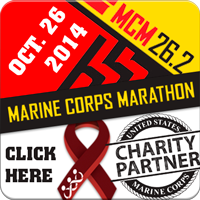 Months of hard work, determination, and blood, sweat, and tears culminated Sunday, October 26, in the 39th running of the Marine Corps, or "People's", Marathon. Marine Corps Birthday Pack Day is a Success! November is here, and so is the Marine Corps' birthday on November 10. In honor of this special day, 27 volunteers from Missouri, Kansas, and Tennessee, including members of the Evans Scholars and the Beta alpha Psi Fraternity from the University of Missouri, arrived our corporate office in Columbia, Missouri on Saturday, November 1, 2014, to participate in our final pack day of the year. Of the 27 volunteers, approximately 10 were new, and it was great to see some new faces and give them a chance to participate in a fun new experience. 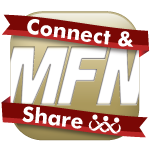 In the spirit of giving back to others, we invite you to support us this year as we join in the world's largest and most successful annual workplace charity campaign, the Combined Federal Campaign (CFC), and help us give back to the Marines who sacrifice so much on our behalf. 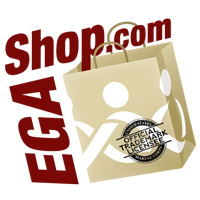 The CFC is comprised of almost 200 charity campaigns throughout the country and overseas. 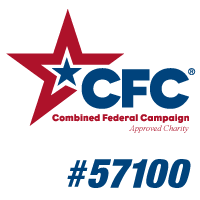 All Federal civilian, postal, and military employees have an opportunity to choose from the CFC charities and pledge donations to the cause/s that matter most to them. In 2013 Federal employees contributed over $200 million dollars to CFC charities. While not all of you are Federal employees, each and every one of you can help this campaign succeed! 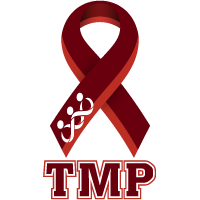 Click here to learn how you can help today!